Last week, the first ‘Asia Pacific International Conference on Additive Manufacturing’ was held in Melbourne, Australia. With three parallel sessions running over three days it was certainly the biggest conference of its kind DownUnder so far. The conference was organized by Materials Australia and sponsored by CSIRO, RENISHAW, CONFLUX Technology, Monash University, AMAERO Enginnering, Zeiss and many more. The speakers came from around the globe, including the US, Sweden, Germany, China and New Zealand. It was agood mix of people from academia as from industry. The speakers shared their insights on the latest research as explaining where the Additive Manufacturing market is heading. Important to point is the collaborative approach of organizing this conference, having industry sponsors and several Universities supporting the event. The joined effort of the Universities was also represented by the Co-Chairs, Prof. Jian-Feng Nie from Monash University, Prof. Ma Qian from RMIT University, Dr.Yvonne Durandet from Swinburne Universit and Dr.Andrey Molotnikov also from Monash University. To say it upfront, everyone agreed that the APICAM conference was a real success. 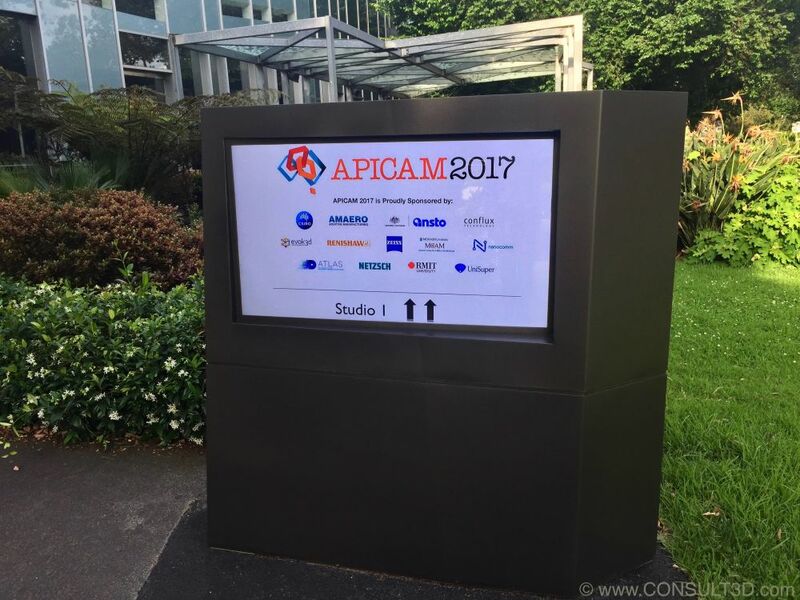 APICAM2017 brought the community of Additive Manufacturing in Asia-Pacific together. It felt a bit like the TCT Rapid Conference, just a little bit smaller but having international high-level speakers in the program. But with less differentiation in the sessions, what was actually a really a good thing. The conference started off with a presentation by Professor David Bourell from the University of Texas at Austin. 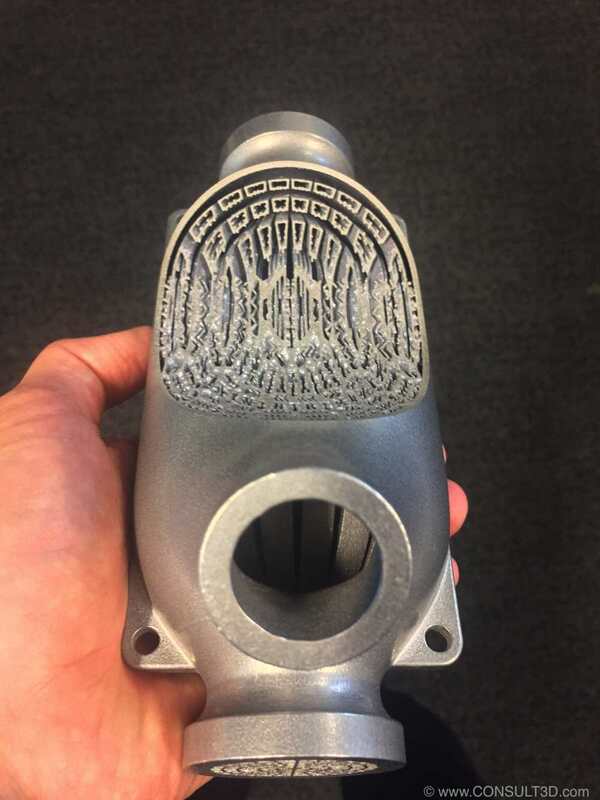 In his presentation ‘A Review of the Development and Trends in Additive Manufacturing’. Professor Bourell provided in his talk a in depth summary on state of the art of Additive Manufacturing technologies and also the current obstacles. He took a good take at the marketing and sales guys in industry and explained to which side of the chart he would stick when it comes to fatigue life of AM parts made of Ti-6Al-4V, the more conservative one. 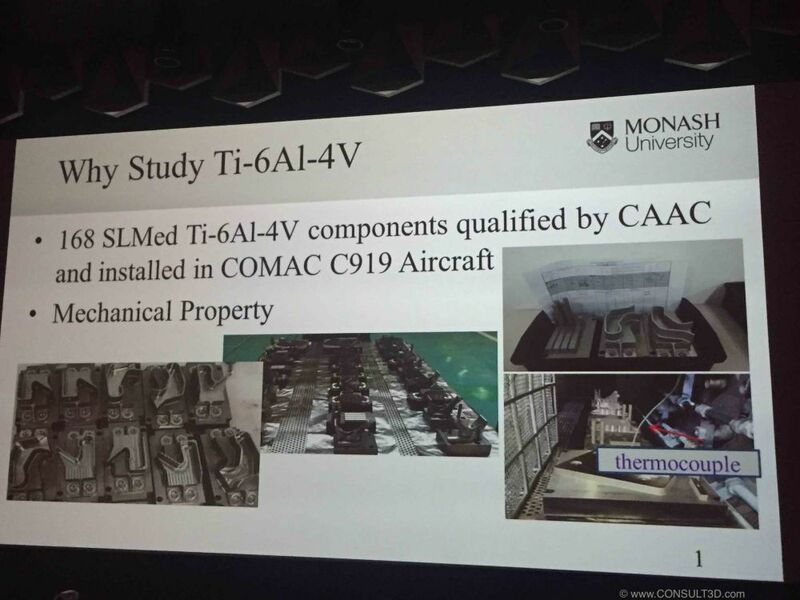 Another really interesting presentation was held by JAIYOUNG CHO from the Monash University Center for Additive Manufacturing MCAM. The presentation a good understanding of the effort it takes to qualify laser metal AM parts for aviation industry. 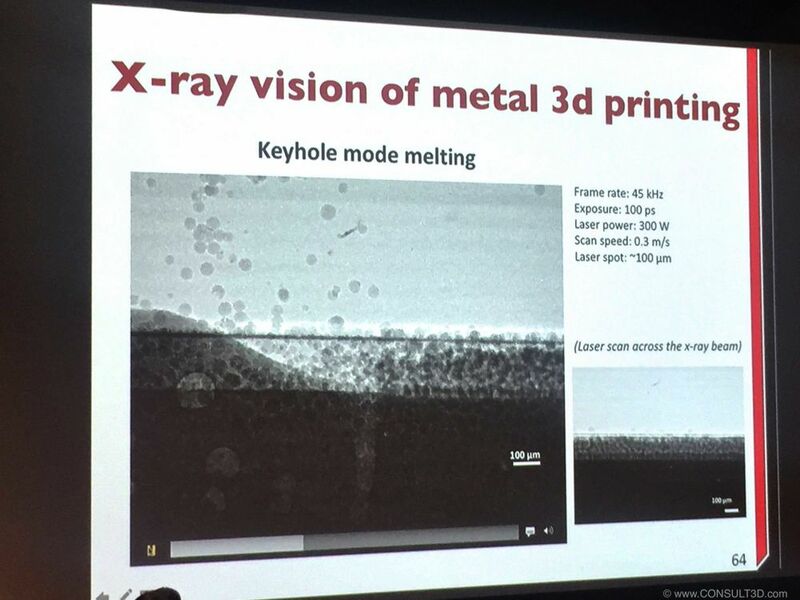 The presentation by Professor Anthony D Rollett from Carnegie Mellon University on ‘Additive Manufacturing Inspired Synchrotron Experiments and Computation: Diffraction and Dynamic X-ray Radiography’ provided absolute stunning insights on the laser based powder bed fusion process. Professor Rolletts presentation focussed on High Energy (x-ray) Diffraction Microscopy (HEDM) experiments. The footage of the SLM process taken with a super high-speed X-Ray (camera 45k frames per second, with an exposure of 100 piko seconds !) was a certainly highlight of the whole event. He recommended to everyone to stick some AM parts into the Australian Synchrotron to have a closer look. Another great presentation came from Warwick Downing from RAM3D. 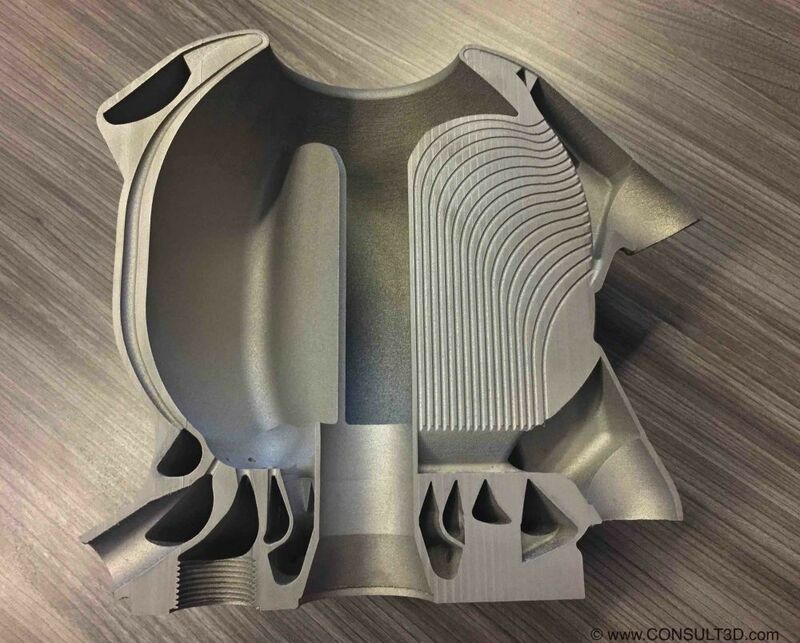 The Tauranga NZ based company has a strong focus on laser based powder bed fusion of predominantly titanium. Local Additive Manufacturing industry was also represent. 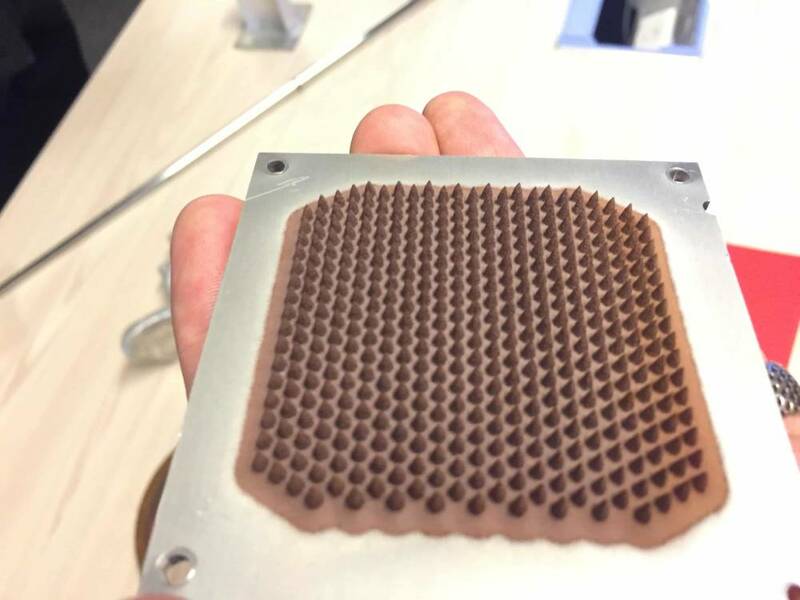 CONFLUXTECHNNOLOGIES were also allowing a look inside their highly complex heat-exchangers. The Geelong based company made headlines earlier this year when announcing an investment by German AM Ventures Holding GmbH. AM Ventures is owned by EOS / Electro Optical Systems. SPEE3D was showing parts of their LightSpeed Process. The high speed powder deposition sets a new benchmar regarding productivity.